The name Honeywell immediately brings to mind a wall thermostat that governs the air temperature and keeps your home comfortably warm or cool. In addition to Honeywell’s programmable thermostats, the company offers additional products that make our homes and offices more comfortable and safe for our families and employees. Honeywell Thermostatic Mixing Valves provide anti-scalding protection to ensure that our water stays at a reasonable temperature. Honeywell’s Whole House Ventilation System and Cleaner makes our air healthier and safer to breathe, while Honeywell’s Security Products and fire alarms keep our homes and offices safe. History shows that Honeywell can be traced back to 1885. The company currently employs more than 132,000 people, including about 21,000 scientists and engineers, in 100 countries around the globe. Honeywell prides itself and its products on environmental sustainability. Conserving energy and providing products that protect air quality is a big part of their ongoing research and development. 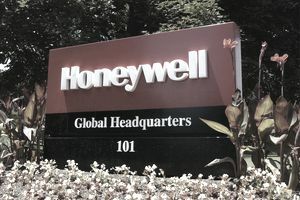 Honeywell also prides itself on being a corporate and community leader by helping others meet challenges posed by climate change and being a leader in finding more ways to reduce the consumption of fossil fuels. Honeywell International seeks new talent with strong engineering and technology backgrounds, people who will dedicate themselves to meeting the company’s mission. Honeywell offers The Innovators Scholarship Program to 18 target universities in China, the Czech Republic, India, Mexico, and the United States as part of its talent-acquisition strategy. The company offers opportunities in various locations around the globe. Honeywell offers paid internships and scholarship money that students can use to apply toward their last year in school. The amount of each scholarship varies based on the country in which the student works. The company seeks students who are pursuing degrees in aerospace engineering, chemical engineering, computer engineering, electronics and communications, electrical engineering, instrumentation, and mechanical engineering. You should be able to demonstrate a strong academic performance. The exact criteria will vary by country. You should possess strong verbal and written communication skills. The program is open to bachelors, masters, or select Ph.D. students who are entering their final academic year of study at one of the target universities. You must also be able to secure legal authorization to perform labor in the following countries if you choose to work there: China, the Czech Republic, India, Mexico, and the U.S.
Each applicant must complete an online application that includes his profile and a copy of his resume or CV. You should also include your university transcript, and you must submit two essays of 500 words or less written in English. The essays respond to questions posed during the application process. Only students only from target universities are eligible to apply, and they must do so by the end of November for China, the Czech Republic, Mexico and the U.S. The deadline for India is the end of April. Various career paths are available for those interested in seeking a job at Honeywell. Interested applicants can check out Honeywell's website to conduct a thorough job search for currently available positions.